Building fundamental aquatics skills that can keep your children safe and give them a strong foundation for the rest of their lives. Designed for children ages six months to six years your child will learn how to independently turn over and float or to swim safely to the side of the pool. The aquatic journey continues from there! 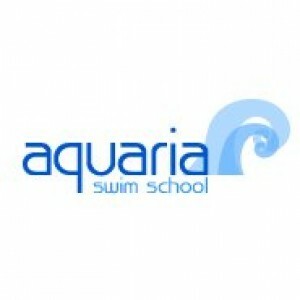 Email cari@aquariaswim.com (or call (623) 680-6835) to schedule lessons or for more information. or in the Arrowhead/Fletcher Heights area. Special Needs: Our lessons are tailored to your child's individual needs. Physical and occupational therapy goals can be incorporated into the lessons, and we are happy to work with your child's therapist to meet these goals.